NORMALCY has returned to Zimbabwe’s fuel sector as queues have dissipated while the rampant black market has all but vanished. 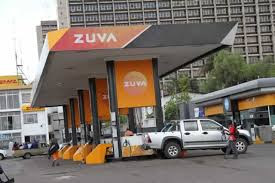 A survey by The Herald yesterday showed that, after a number of troubled weeks, fuel was now available at most service stations with motorists getting the commodity without hassles, something that has been attributed to the Government’s interventions that stopped wasteful use. And the country could now notch up the much needed savings on foreign currency on the back of less demand, as fuel contributed to about half of the money for imports. In separate interviews, the Minister of Energy Dr Joram Gumbo and Reserve Bank Governor Dr John Mangudya confirmed the developments noting the positive trajectory in the sector. Government is set to introduce more measures to ensure uninterrupted supply. Dr Gumbo explained after recent fuel price adjustment, which reduced market distortions and abitrage, fuel was now available on the market. “Before the price adjustments, people were speculating and this led to hoarding of the commodity. Now that people have realised the fuel is available at the latest prices, there is no longer hoarding of the commodity. We are happy about the improvement and we hope it continues to be like that,” he said. Reserve Bank of Zimbabwe Governor Dr John Mangudya assured the nation of a sustained supply of fuel moving forward. Dr Mangudya said while it was too early to give exact figures on the decline of the foreign currency demand, the bank has of late noted a substantial drop in foreign currency demand. “It is a bit too early for the bank to give exact figures on the current fuel consumption as we are round about two weeks with the new pricing system,” said Dr Mangudya. “But two things that I can assure you are that, number one; we now have adequate measures in place to make sure that we continue with the availability of fuel that we are currently witnessing in the economy. “Secondly; we have noted a decline on the foreign currency quantum that we were spending on fuel importation since the adjustment of the price and like I said before, we will give exact figures in a week’s time,” he said.